I’m sad to report that Daniel Hansson, CEO and one of the founders of Elektron, passed away in a car accident August 19. 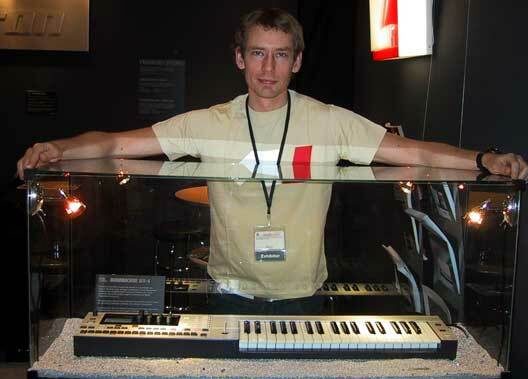 He was best known to the world as the creator of unique and ingeniously-designed instruments like the boutique drum machine / pattern synth Machinedrum, the Monomachine tabletop synth, and the SIDStation (powered by the beloved synth engine in the Commodore 64). Sad and shocking news indeed. The only comfort I can think of is that Daniel got to see his dream come alive while he was still living. Elektron made the music machines that emit the feeling of unconditional love for the true musical instruments, rather than be just a passing products for consumer markets. In this sense, SidStation, MD and MnM, were completed and continue to inspire musicians through out the world. 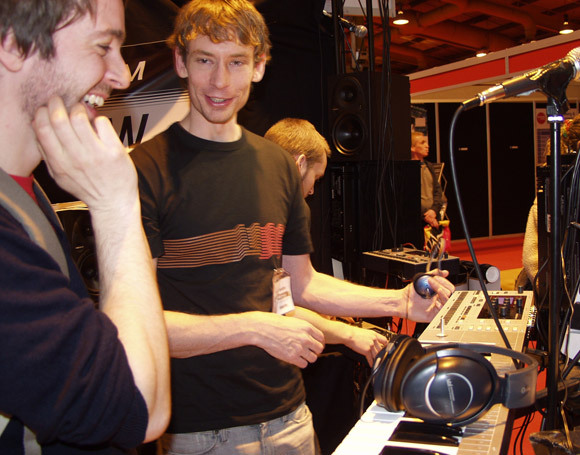 Indeed, condolences to Daniel’s family and friends, and the Elektron team and community. Daniel was a great guy, friendly and fun to talk to, passionate about getting the details right in a product, and a true lover of ideas. It’s a tragic loss to creative musicians everywhere. 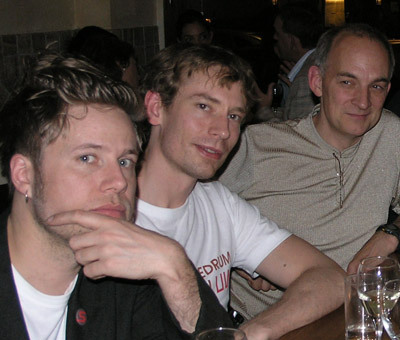 Daniel, right, wearing the badge. Photo: Roger Linn. Daniel, center. Photo: Roger Linn. Daniel poses with his creation, the Monomachine, as captured by the good folks of Sonic State. (Thanks to Cebec in comments!) Sonic State also remembers Daniel today.